Whether you’re a new faculty or staff member or a long time employee, if you are interested in professional development, this lunch series is for you. The Network will invite one special guest to lunch to dine with UofL Women’s Network members. During lunch, you will have the opportunity to ask professional development questions in a small and casual setting at the University Club. Attendees must register with the Women’s Center and lunch is on your own however the access and conversations will be invaluable. Gale S. Rhodes is Vice Provost and Executive Director of the Delphi Center for Teaching and Learning at the University of Louisville. She earned her B.S. degree (1973) in Sociology and a M.S. (1975) in College Student Personnel from the University of Tennessee and an Ed.D. in Counseling and Higher Education (1994) from the University of Louisville. Gale has worked in higher education for almost 45 years. She served as Director of Student Activities at Mississippi State University for three years. She then moved to the University of Central Arkansas as the Associate Dean of Students for nine years. 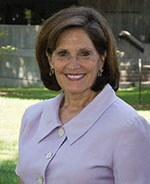 For the last thirty-one years, she has been at the University of Louisville serving in a variety of professional positions to include Coordinator of Freshman Orientation Course, Director of Academic Services, Director of Distance and Continuing Education, Assistant Provost, Associate Provost and now the Vice Provost. While also serving in a full time administrative position at the University of Louisville, Gale serves as an Adjunct Professor in the College of Education and Human Development. She has been active in several professional organizations throughout her career. When she was involved in the National Association for Campus Activities, she served as the National Travel Chair, Chaired a national convention, and served on the Board of Directors. She has also been involved in the Southern Association for College Student Affairs where she served on several committees that included conference planning, the newsletter, and membership. For 20 years Gale was very involved with the Golden Key International Honor Society where she served as the advisor for her chapter. In addition to being very active in the organization, her chapter won several prestigious awards including the Key Chapter Award and the Founders Award. She was named the Regional Outstanding Advisor and the National Outstanding Advisor. She also served as the International Council President. During Gale’s tenure at the university, she was named Outstanding Supervisor of the Year and was the recipient of the inaugural Champion of Women Award given by the Commission on the Status of Women. In addition, Gale does consulting with business and industry in the areas of sexual harassment, diversity, communication, stress management and the Myers Briggs Type Indicator. She has presented seminars, workshops and published research in the area of diversity and sexual harassment for over 40 years. She has over 40 years of experience working with adult learning and development programs. Her primary area of research is in the area of prejudice reduction. Gale has published several articles, a text for a class and has made numerous presentations at national and regional conferences. The UofL Women’s Network will host the inaugural Women’s Network Roundtable (NWR) Thursday April 18th in the CTR building on the HSC campus from 4-6 p.m. The Roundtable will bring together faculty and staff from all UofL campuses with subject matter experts/facilitators who will guide small group discussions. This Roundtable is for anyone interested in professional development and relationship building opportunities. RSVP by April 12. Facilitators are: Dr. Ann Herd, Dr. Kathy L. Urbach, Paula Koomor, Dr. Teri Rowland, Dr. Sheri Brown & Dr. Ann Larson. Topics include: work life integration, bullying in the workplace, envisioning your ideal life, handling inequities, navigating negativity & Balancing “bossy” vs. “strong leader”— how strong women are perceived compared to men and how best to deal with it. If you have any questions call 852-8976 or to register e-mail the UofL Women’s Center at womenctr@louisville.edu. The 7th annual Pathways Women’s Leadership Conference, sponsored by the Commonwealth Credit Union, will take place on May 17, 2019 and is open to all University of Louisville employees. Enjoy a day with colleagues focused on your leadership development, critical and strategic thinking and personal goal setting. *A menu with pricing is available on the website http://www.uclublouisville.org/ Space is limited to nine participants per month. To reserve your space e-mail the womenctr@louisville.edu or call the Women’s Center at 502-852-8976. Reservations are firm once you receive your confirmation. Cost for the buffet is: Soup and salad, vegetarian station and fruit and desert for $9.95 + tax and service charge Full buffet $11.95 + tax and service charge or items off the menu.